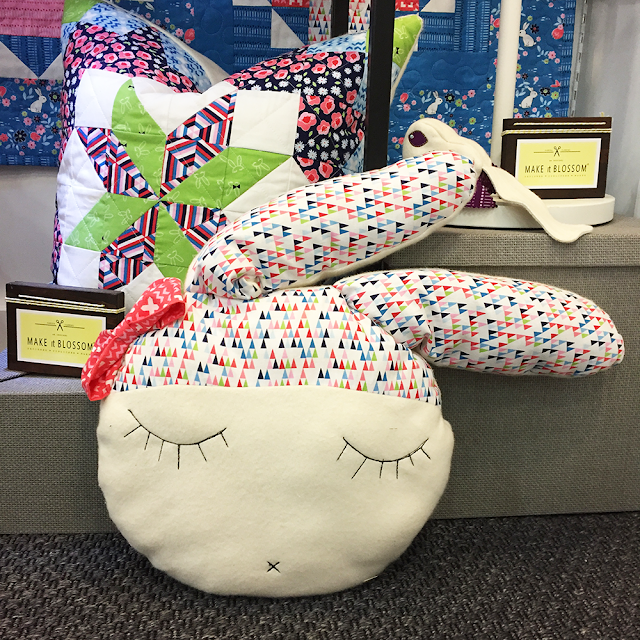 making it fun: Sandra Clemons :: FRONT YARD for MMF! 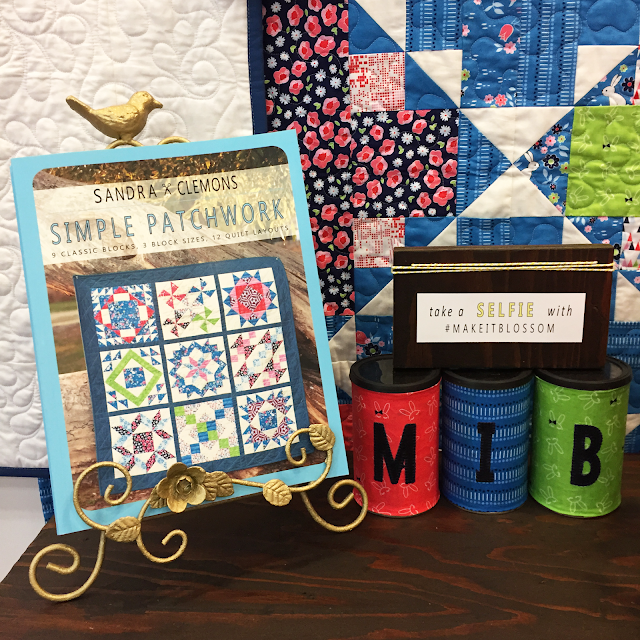 Sandra Clemons :: FRONT YARD for MMF! 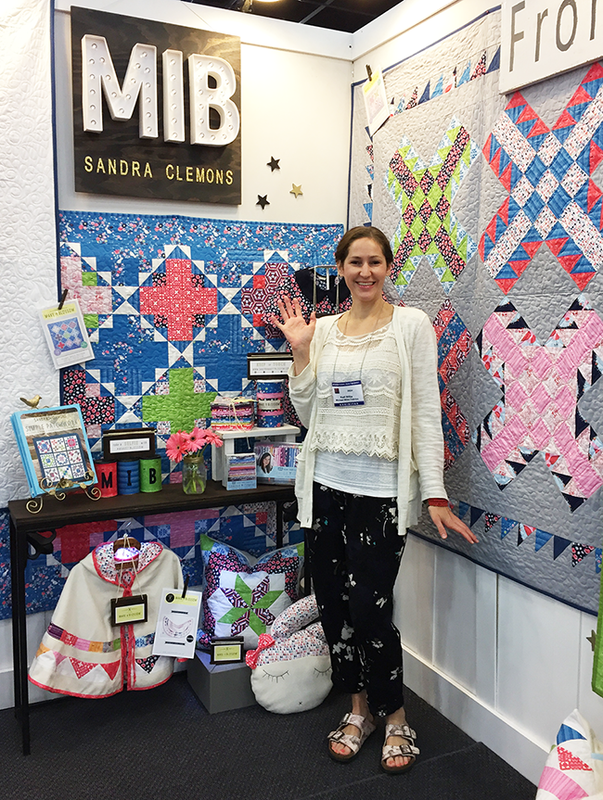 We just got back from Quilt Market where Sandra debuted her new collection... Here are some fun photos from her booth! 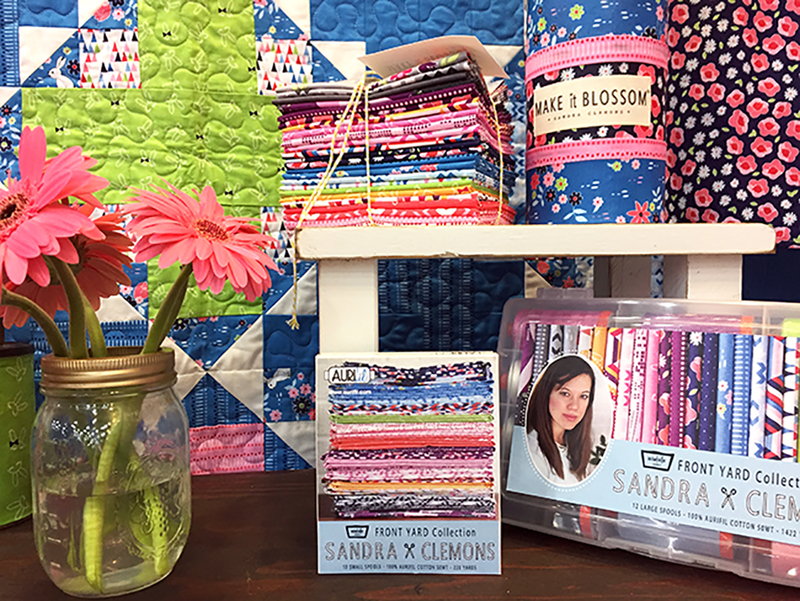 *a bundle of Front Yard and Sandra's thread collection from Aurifil! I'm usually not in photos... but, I took one in Sandra's booth! Heyyyyy everyone! *check out that kid's poncho: It's the Wildflower Cloak Pattern! Adorbs! Click HERE for a link to the pattern. 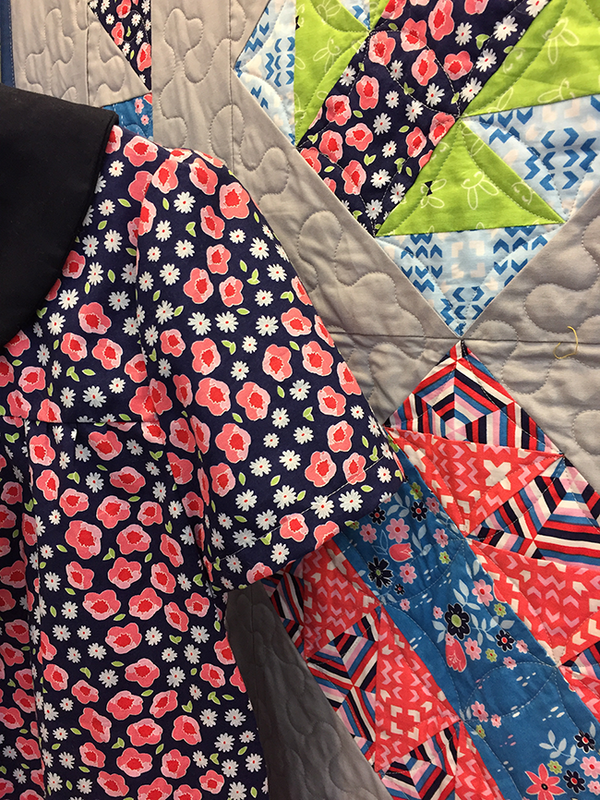 Sandra had some fantastic quilt samples in her booth. All of the patterns are available for purchase on her website. 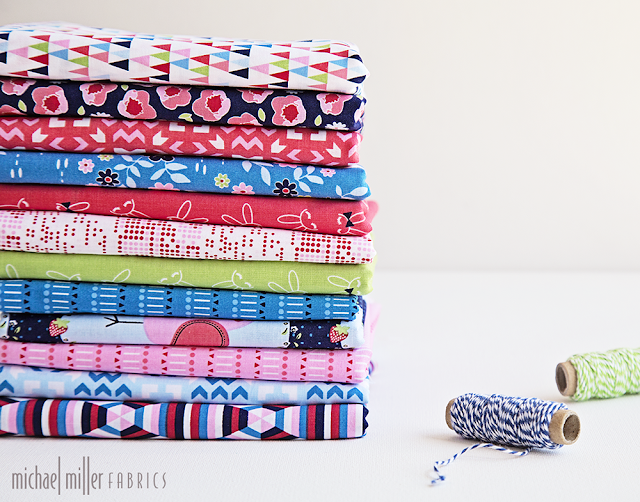 We're giving away a bundle of Front Yard along with a small box of Aurifil thread to match! Just let us know which Front Yard project is your favorite! **don't forget to tag us when you post pics on social media! WOW! It's hard to choose. 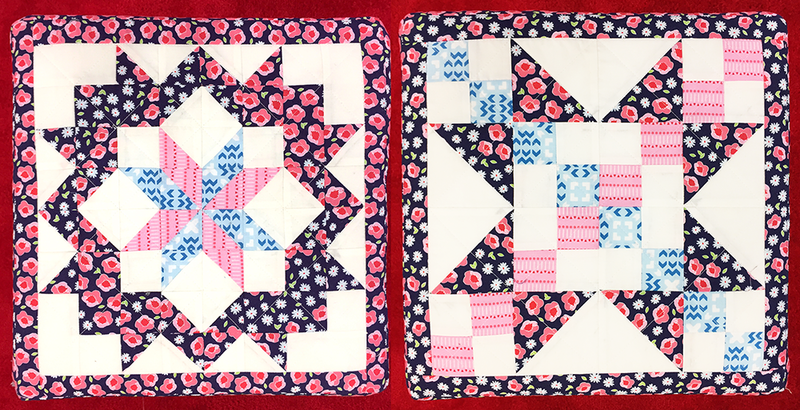 I like Picket Quilt Pattern, and Small Moments. But most of all, I think I like the Skylight Quilt Pattern. 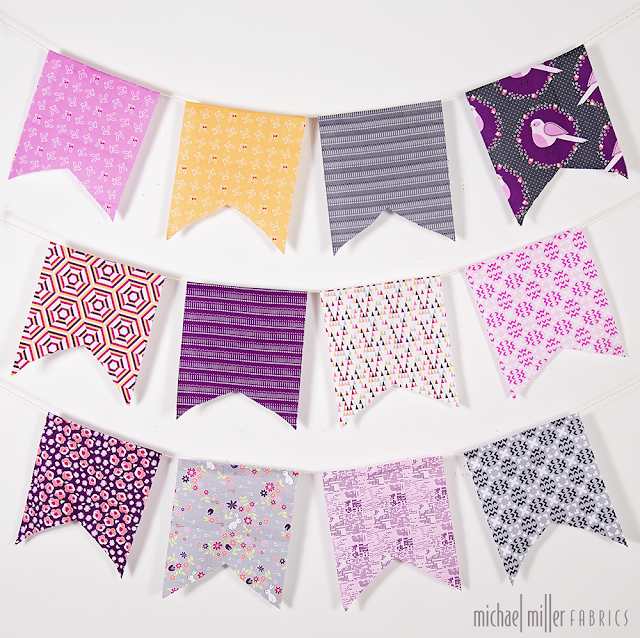 Love the fabric - especially Blackberry! I like the Radiance quilt most, because it looks vintage yet modern and really shows off both colorways. I like the picket quilt pattern. The fabric looks gorgeous. What a gorgeous collection of fabrics! My favorite project is the Skylight quilt pattern. So very pretty! 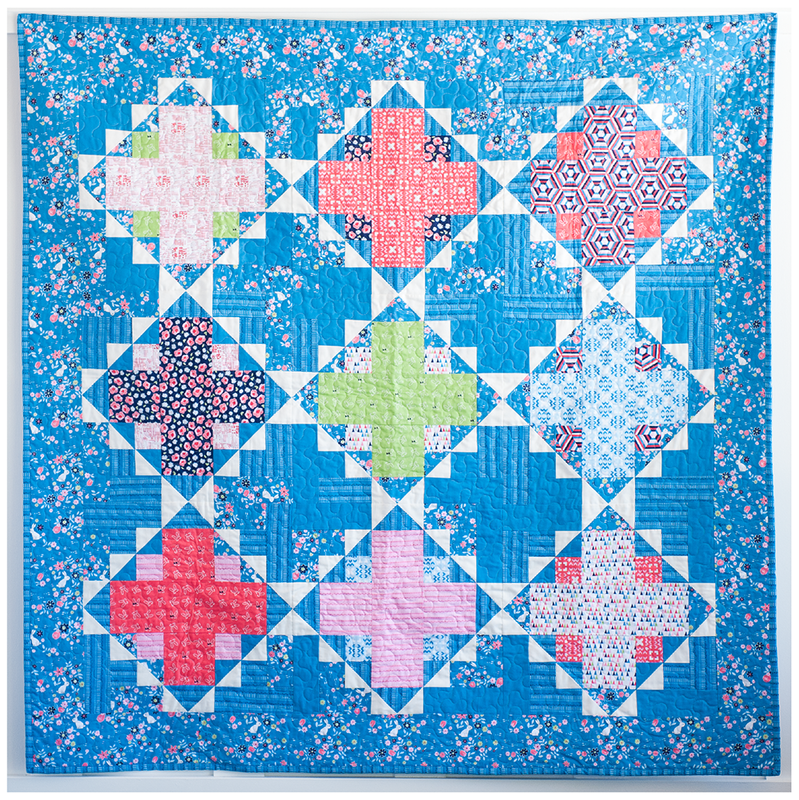 I love the Skylight quilt and the oh-so-cute blue bird mini quilt at the beginning of the post! VERY hard to choose--but think I will go with Skylight--such beautiful fabrics in all the projects! I can't decide between Sun Halo and Picket as my favorite projects...love them both! This is a beautiful collection and I would love to make the Sun Halo pattern. the sun halo is my favorite project and i love the blueberry color walh. 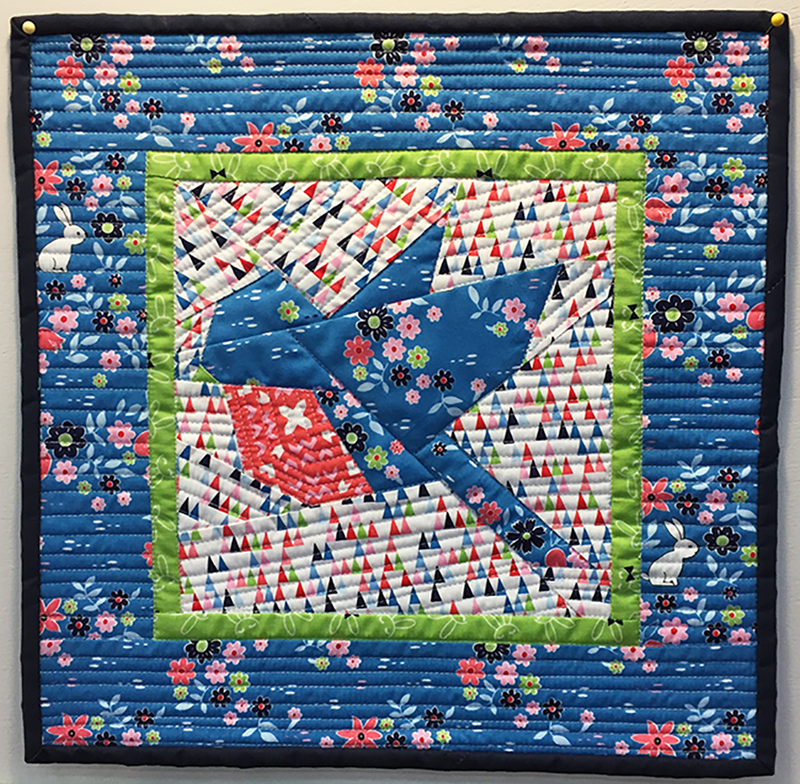 That Bluebird brings happiness to my heart, and the Sun Halo quilt is beautious. What a bright fabric line. Love the "Picket Pattern"! Pretty! Thanks for sharing! I love that little Bunny! This fabric line is beautiful. I love the Small Moments quilt. Thanks! Love! I think Skylight is my favourite. Sun Halo Quilt is my favorite! 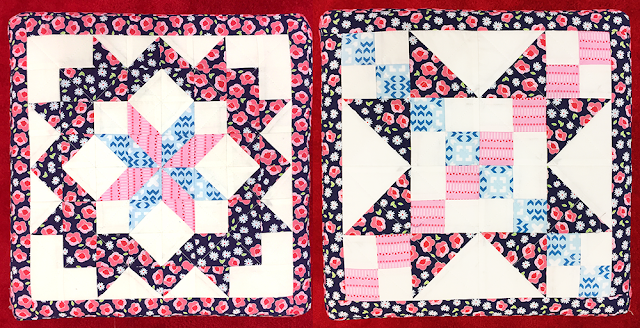 I think Picket blocks would make a darling quilt for a little girl's bed! How sweet would that be in Blackberry fabrics? Adorable. I'd love to win. Thanks for the giveaway. Lovely fabric! I really like the Sun Halo quilt! Thanks for offering the chance to win! the sleepy pillow in the stocking cap is just too cute! I love the blackberry colorway....it's just yummy! Wow!!!! I am in love with the radiance quilt! 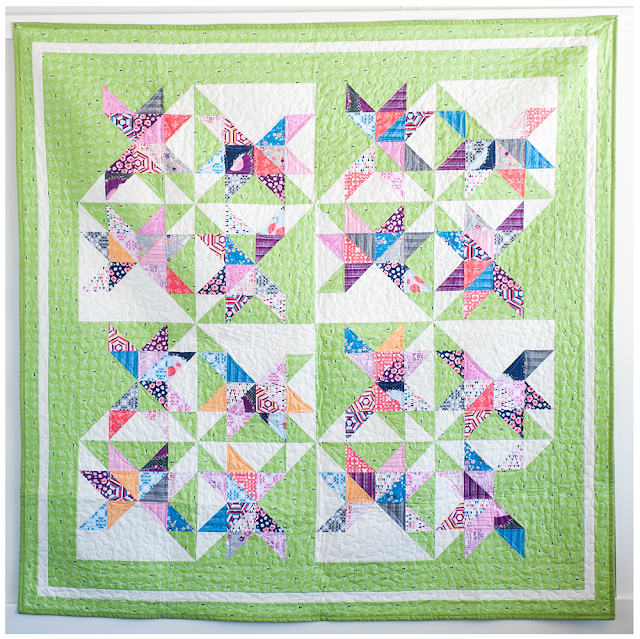 That Sun Halo quilt is lovely in it's simplicity! Love it! The blackberry colorway is beautiful! I like the Small Moments quilt. Glad to see a photo of you Kait! I love that poncho!!! It will most definitely be on my list to make soon! I really like the Skylight quilt. Love the picket fence pattern"
I really like the sun halo quilt and the poncho - same pattern? Super cute line. The Skylight Quilt is my favorite. I love the colors in this collection. 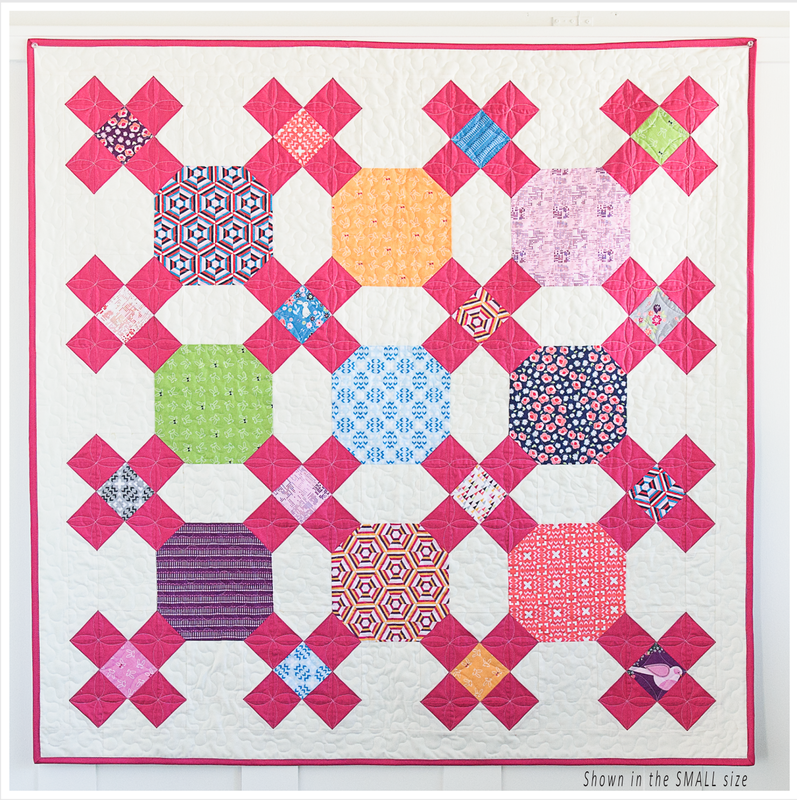 I love the Radiance quilt! Such a rich fusion of color! Thanks for sharing this! It's hard to choose but I think I would go with tha radiance quilt. Sun Halo is my absolute favourite although they are all beautiful. 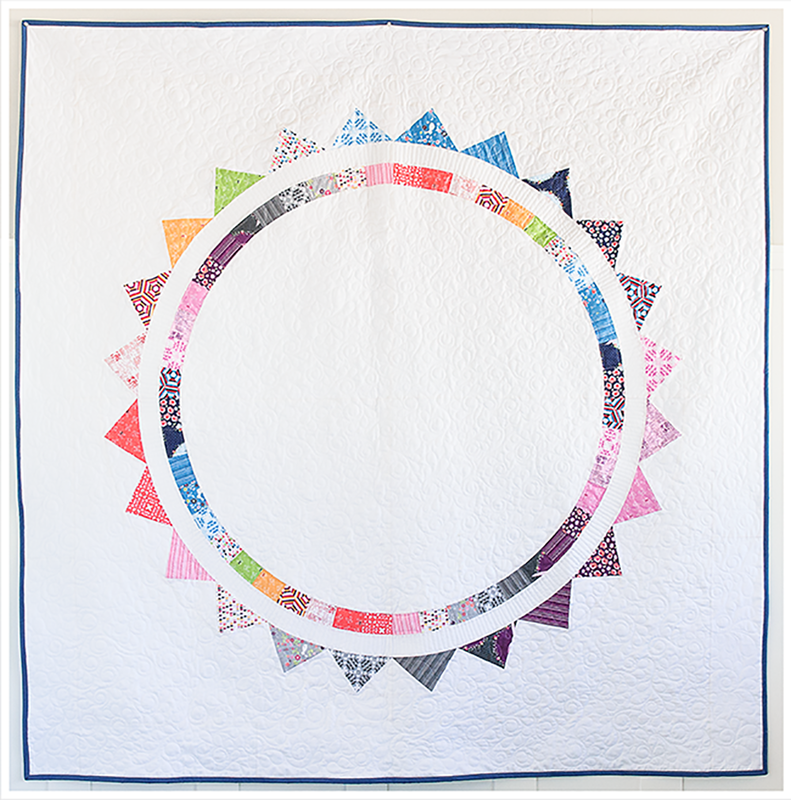 Love the sun halo quilt! I like the 'Picket' quilt pattern the most 😊 What a beautiful fabric range. 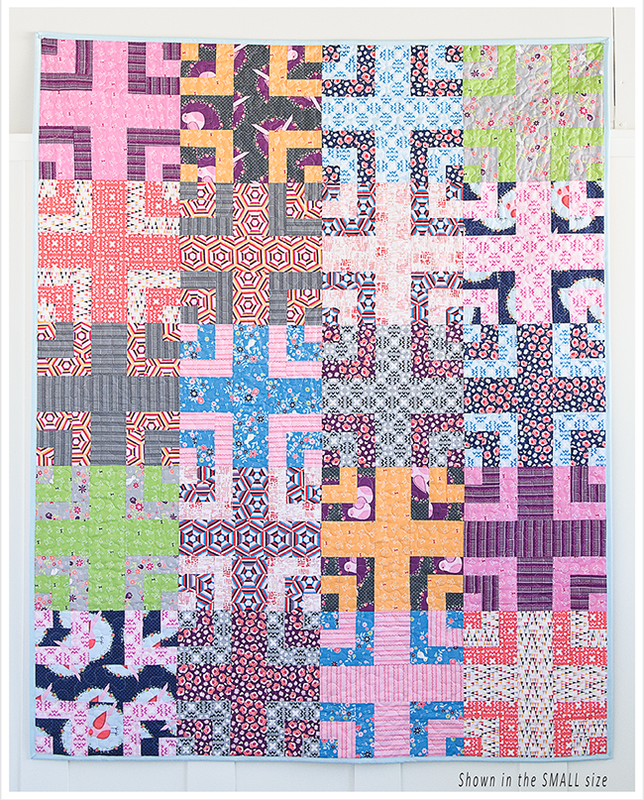 The Skylight Quilt is my favorite project and I'm partial to the Blackberry colorway. Thanks for the wonderful giveaway opportunity. I like the Skylight quilt project the best. I also really like the Blackberry colorway. My favorite is the Small Moments Quilt, and I love the blueberry colors! Hi! 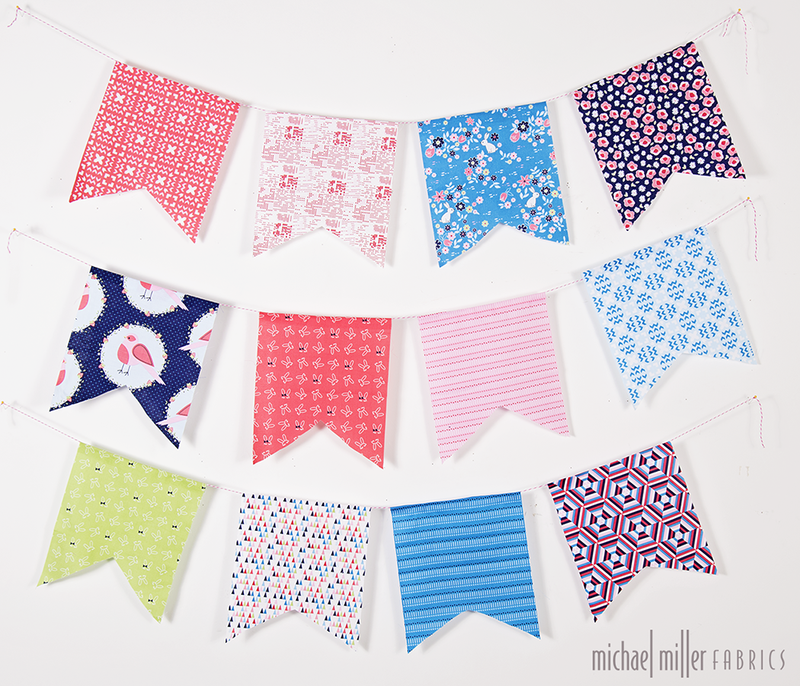 Picket Fence caught my eye first and is my favorite! Thanks! I LOVE the Sun Halo Quilt Pattern! Simplicity shows off the fabrics best. 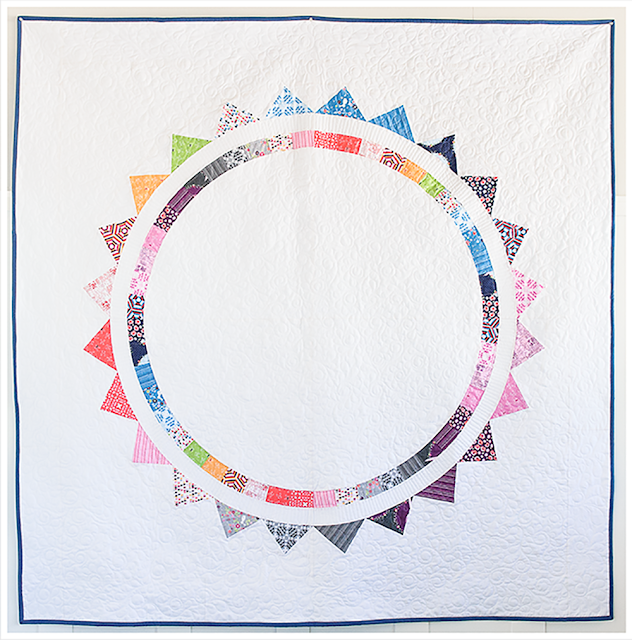 Love this Sun Halo Quilt Pattern, I would love to make my own! Small Moments Quilt is my favorite Front Yard Project. 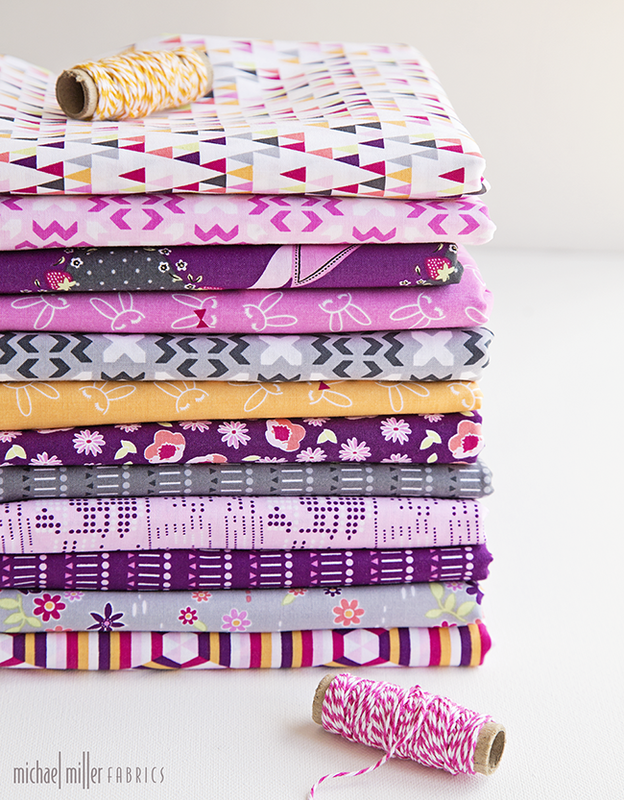 This fantastic bundle of fabrics are so versatile and just beautiful. I would love to own them. Thank you for the opportunity! Have a fantastic creative day! I like the skylight quilt the best. These are all fresh and different. 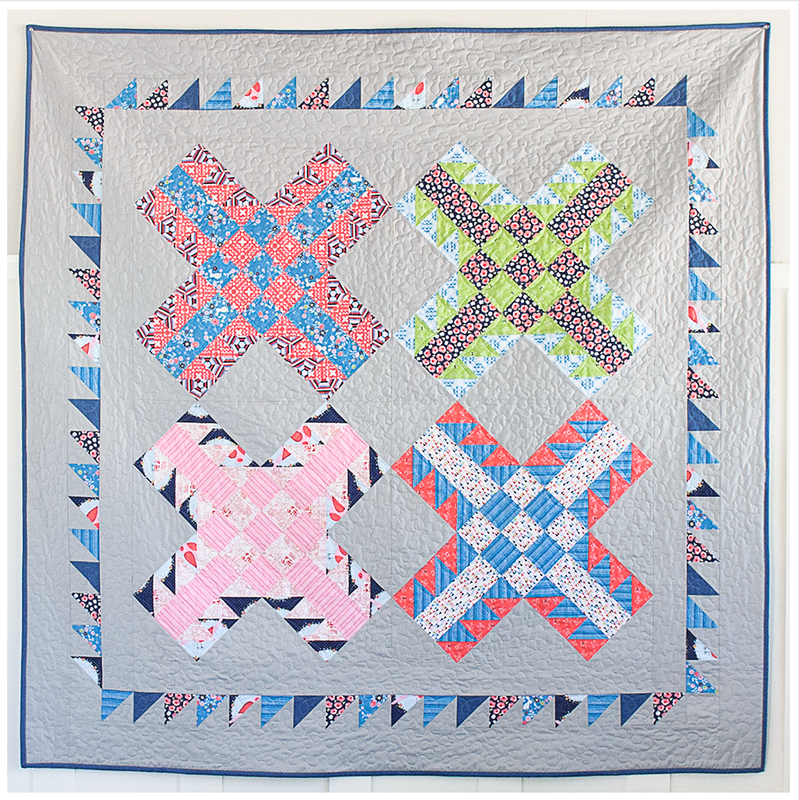 The Picket Quilt Pattern is my fave quilt!! Loooove it! I love Sun Halo, and Sky light is just as beautiful, but small Moments is just popping with the crosses looking 3 dimensional. Sorry for picking three! Thank you for the giveaway! I love this fabric line. It is pure happiness. I'd love the opportunity to make either Sun Halo Or Skylight! !